Studying abroad definitely need a little bit more thought and planning than a degree in India; but it is not unachievable. All you need is few pointer that you need to keep in mind. Haven’t most of us at one point or the other wanted to go abroad to study? When we see our peers going outside, we wish we could also. It is not that, Indian education isn’t good; Indian education system is one of the best in the world. But the diversity, exposure and the chance to learn at a global platform is definitely something we all aspire to have. With also the luxury of going to one of the most sorted after locations in the world, gives you that extra pull. 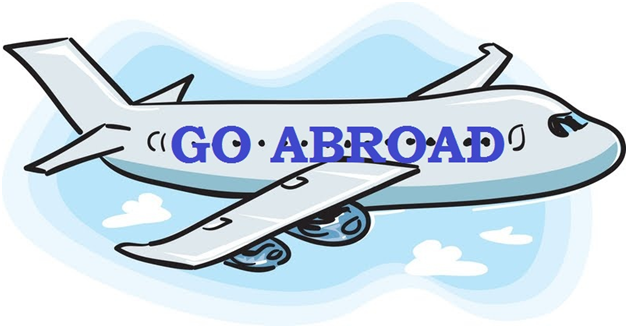 So when we talk about going abroad, what all do we need to consider, before we take that big leap? One of our prime worry is the cost; whether or not we can afford it. Sometimes we don’t even consider overseas education, because of this very factor. Yes, studying abroad can/will be a bit more that what you would spend on a similar degree in India. This varies depending from the course you have select, the university and location. For example a university in Australia might cost you up to 18 Lac* and a course in UK would be about 35 Lac*; in Singapore course could cost up to 30 Lac* etc. (*these figures are bound to change). This is a driving point for any prospective applicants. There are a variety of scholarships for international students. Some of which are government funded, university funded or private and charitable funding organizations. · Tata Scholarships at Cornell (US): This is via the Tata Education and Development Trust. They provide scholarships for around 20 Indian undergraduate students. To be eligible for this, first you need to be accepted in Cornell University and then apply for the scholarship. · Oxford and Cambridge Society of India (UK): To be eligible for this, you need to have a prior degree from an Indian University. This scholarship is eligible for both undergraduate and graduate studies. · Edinburgh Napier University (UK): The scholarship is offered to both undergraduate and graduate level Indian students, who opt for Scotland’s Edinburgh Napier University. The criteria for this scholarship are on merit, based upto $ 3000* for Indian students. · University of Wollongong (Australia): This University offers one student 50% fee reduction from the UOW Bradman Foundation Scholarship. Other than that there are other Australian universities that offer scholarship programs. · Huawai Maitree Scholarships (China): this is specific program for the Indian students; financial aid would be given upto $ 5000* to students who opt for higher studies in China. Most of the universities offer you’re the chance or work while you study. Your student visas would make you eligible for you to earn your cost of living. Most of the universities have hostels and in house accommodation. They also allow you to seek accommodation outside your university post one year/semester in the college hostel. The cost various from $200 - $800* and more. Many airlines offer some sort of baggage allowance and discounts for students who travel abroad; with that they also provide travel and accidental insurance for their passengers. Through years, Indians have always been a victim of racism, when they go overseas. But due to the wide diversity in today’s day and age Racism is something that has been bought under some control. With few cases still propping up, the government and the local police and campus heads are making sure that they universities are racism and ragging free. Nothing is 100% assured, keep in mind that you are in a unknown country, try following some basic rules and regulations like keep your eyes open, be careful when you travel in the night, try not being alone (especially in the first few days and months), if you notice something out of the ordinary – inform the office and the local authorities, carry some sort of safety precaution with you like pepper spray etc. and the most important one is don’t keep quiet if something or someone threatens you. There are some basic eligibility criteria like your age i.e., you have to be 18+ and should have passed your 12th boards or equivalent. Other points vary, depending on the location to the course and college selection. For example your cut off marks for both your boards and the exams mentioned above. To be on the safe side you should at least have 60% and above in you boards. Along with that each university has its one eligibility criteria. There are two major English tests that determine your eligibility of various universities in US, UK, Australia, Canada etc – IELTS and TOEFL. Other than that you have GMAT for MBA aspirants, MCAT for medical aspirants etc. Students who are applying for undergraduate studies in US should also sit for SAT. This is equivalent to your 12 boards and tests your eligibility for college. Once you fill the prospectus you also have various other categories that you need to fill, like recommendations (teachers or previous employers), couple of essays (selling point) etc. Make sure you fill the prospectus to the best of your ability. Sometimes in rare cases, even if you are barely crossing the merit point, your essays, extracurricular activities extra might give you the required edge. To apply for a student visa, at first you need to have an admission letter from, the university. On the process of that, your visa process would start. You would be required to give the relevant documents like your birth certificate, details of your sponsor (the one who is paying for your fees etc. ), educational qualifications etc. There would be police verifications and once that is cleared your visa would be approved. The programs are divided into a semester system (most often). You are taught throughout the semester and rated on the various projects and assignments. End of the semester you sit for the term paper, which would judge if you are eligible to go to the next semester or not. Studying abroad is one of the major trends in the education system. Moreover if students are already enrolled in an Indian university, then tend to apply for the various exchange programs available. Studying abroad has become a norm in Indian families. If you have the option, then you should definitely go for it. From learning different cultures and adjusting to different situations definitely makes you a well rounded human being. It is definitely an opportunity one should not miss. Author Bio: Trisha is a professional writer and adviser on education. She is an ardent reader, a traveler and a passionate photographer. She wants to explore the world and write about whatever comes across her way.